This beautiful Italianate mansion of brick and native limestone was built in 1874 for William Larrabee, Iowa’s 12th governor. Milwaukee architect E. Townsend Mix (See note 3) did the design work. Construction of the home cost about $20,000. Montauk serves as an example of the use of building stone for the foundation, lintels, and cornices in an otherwise brick construction. Many buildings from the 1800s and early 1900s possess building stone foundations, but later constructions are primarily characterized by foundations of cement block or concrete. Montauk sits on a hill about 200 feet higher than the town of Clermont which is about a mile to the south. It's an imposing 14 room brick and stone house in a grassy clearing surrounded by 100,000 trees (white and yellow pine, birch, and arbor vitae) planted on about 160 acres by William Larrabee. Most are still there providing beauty for the remaining 40 acres. 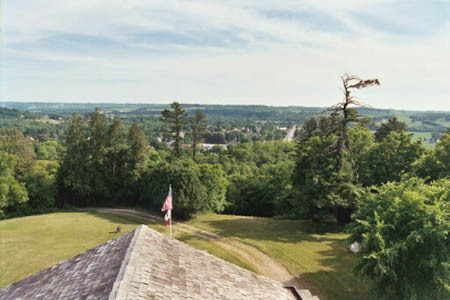 A view of Clermont to the south - from Montauk's roof. A view to the north including Montauk's outbuildings - from the roof. Montauk is built of bricks from local clay that was kilned at Clermont. The Walls are made of brick inside and outside. The stone was quarried at Williams Quarry of Clermont. Montauk itself was named by Anna Matilda Appelman Larrabee in honor of her father - a whaling ship captain. He often told her about the lighthouse that seamen depended on at Montauk Point, Long Island, NY. Governor Larrabee imported the first Swiss cattle to Iowa in 1882 from Switzerland which grazed on Montauk's meadows. In 1885 he exhibited the first Brown Swiss cattle ever shown at the Iowa State Fair. 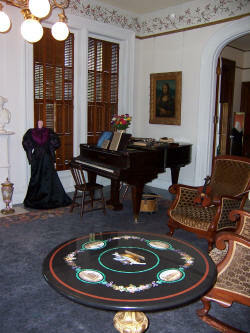 The house includes many notable pieces of art by such artists as Mme Lebrun, J.G. Brown, William Bradford, and the Italian sculptor Vichi. The oldest work is "Stormy Weather" by Pieter Molyn (ca 1670). 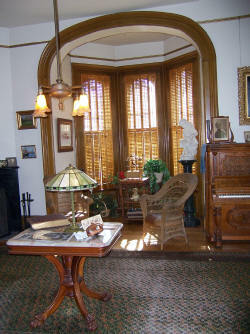 There are family portraits by the Iowa artist David John Cue (ca 1891) and French Sevres vases. William Larrabee commissioned 4 bronze likenesses that surround the front of the house - Generals Grant, Sherman and Dodge and Admiral Farragut. 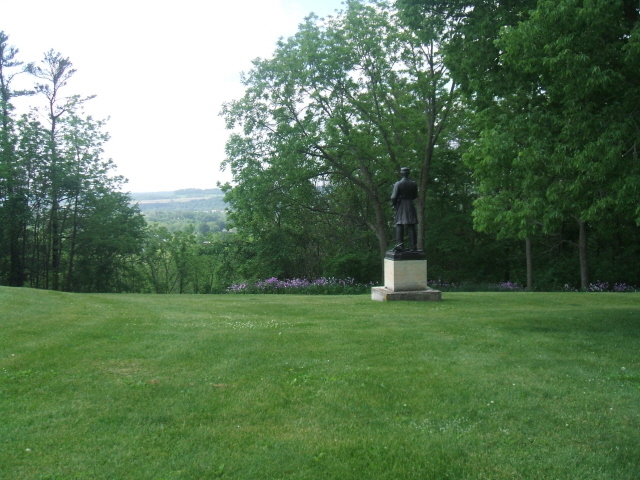 (Two others - Abraham Lincoln and Colonel David Henderson - are located in the town of Clermont.) They were unveiled in 1903. The statues were made by sculptors George E. Bissell and Massey Rhind. Anna, one of the daughters of Governor William Larrabee, lived in the house until she passed away in 1965 at the age of 96. Family opened the house to the public in the fall of 1967. 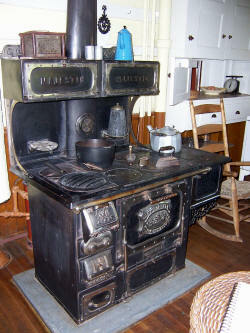 They maintained ownership until 1976 when, the contents, and 40 acres were deeded to the state of Iowa as an historical site. 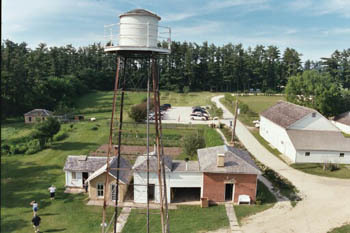 The State Historical Society of Iowa preserves Montauk which is listed on the National Register of Historic Places. It's designated as a State Preserve. (1) Source from "Iowa Heritage - Spring 2004"